Following some simple biosecurity rules can help keep your pigs healthy and disease-free as well as helping to protect WA's reputation and animal health status. eat and sleep frequently throughout the day. What is a biosecurity checklist? Biosecurity brings together a range of practices that aim to keep disease out of your property. The biosecurity checklist below summarises the actions needed to protect your pigs and the WA pig industry from the devastating effects of emergency diseases and to minimise the spread of more common diseases. Check whether your local council has any restrictions on owning pigs - many local government areas do not allow pigs to be kept. Register as an owner of livestock with the Department of Primary Industries and Regional Development, WA (DPIRD). You will be allocated a property identification code (PIC), and a livestock brand and pig brand. Order a PigPass national vendor declaration (NVD) book or a waybill book (from any DPIRD office). You require one of these to move pigs off your property. Ensure you have fencing that will prevent your pigs straying. If you work in a commercial piggery or poultry premise, you should not have pigs at home for disease prevention reasons. Anyone who sells you a pig must provide you with a PigPass NVD or waybill so that you can transport the pig. You will need to provide them with a PIC. If buying a pig direct from another property, obtain details of the pig's health status - vaccinations, worm and external parasite treatments, and other medications. Pigs over 10 weeks old must have the seller's pig brand tattooed on their shoulder. A stud pig may have the registered breed society mark tattooed in the ear. Isolate new arrivals for at least seven days. Attend to new arrivals last and use separate equipment. Report unusual illness to a veterinarian or to your local DPIRD field veterinary officer: see the Livestock biosecurity program contacts page. Only use veterinary medicines prescribed by a veterinarian for your pigs. Follow all label instructions including dose rate, witholding periods and export slaughter intervals for any medicines or chemicals used on your pigs. Ask all visitors to wear clean boots and clothes before they come into contact with your pigs, especially overseas visitors. Develop and follow a herd health program, including vaccinations, worm and lice treatments, and a suitable diet. Isolate any pigs at the first sign of sickness. Consult a veterinarian about any unusual illness or unexpected deaths. Keep a record of veterinary treatments. Provide access to weatherproof shelter. If kept in paddocks, regularly rotate your pigs onto fresh pasture (before 60% grazed). Regularly clean pig pens and/or remove manure from paddocks. Train staff to follow biosecurity practices for disease prevention and identification. 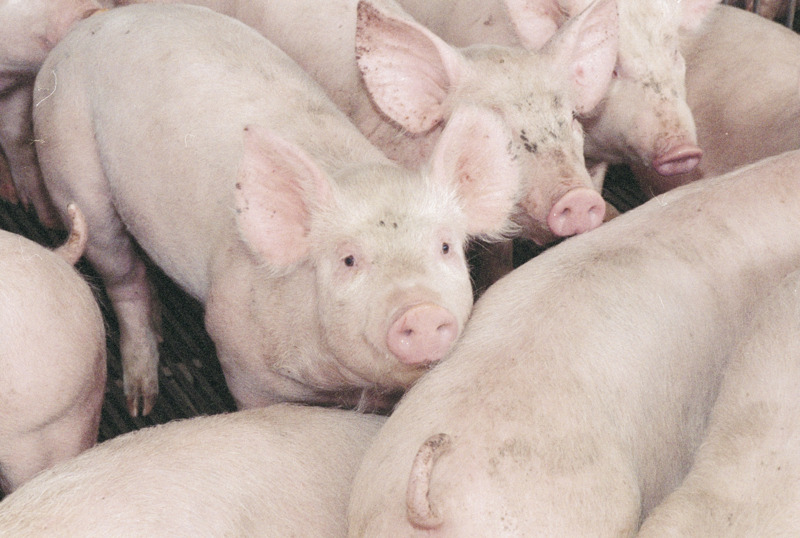 Check the health of your pigs before transporting them off the property. Do not move sick animals to a show/gathering or to another property. Keep records of pig movements onto and off your property. Complete a PigPass NVD or waybill before moving pigs off a property. Legally identify (brand) pigs before leaving the property for sale or slaughter. The new owner must provide you with their PIC. Clean and disinfect vehicles/equipment before leaving and returning to your property. Clean all clothing before leaving and returning to the property. 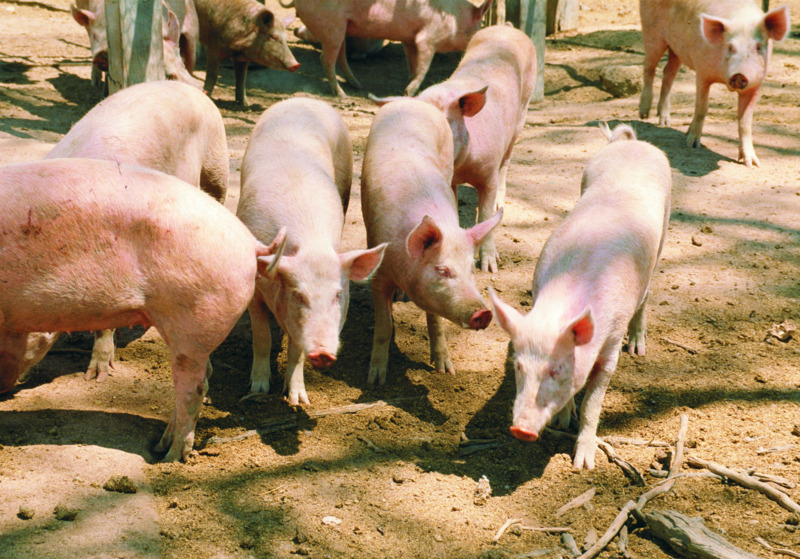 Check the health of your pigs before returning home after an event. Isolate and observe all pigs returning from shows/gatherings for seven days. Call a veterinarian if you see any signs of illness. has been in contact with meat, meat products or any other products from mammals. This is because these products (known as 'swill') may contain viruses that can cause severe diseases in pigs, which can spread to other livestock. Feeding swill to pigs could introduce foot-and-mouth disease to Australia, which would devastate the livestock industries. Which foods are safe to feed pigs? used cooking oil only used for cooking in Australia and processed according to the National Standard for Recycling of Used Cooking Fats and Oils Intended for Animal Feeds. Pig owners must also prevent pigs from accessing swill (e.g. via unfenced dumps or compost heaps). For more information about swill feeding, contact your local DPIRD veterinary officer or see the swill feeding webpage. Producers play a vital role in early detection of exotic diseases in Australia. If you see unusual disease signs, abnormal behaviour or unexpected deaths in your stock, ring your private veterinarian, the local Department of Primary Industries and Regional Development (DPIRD) Field Veterinary Officer or the Emergency Animal Disease hotline on 1800 675 888. It is important to recognise and report signs of these diseases to a veterinarian quickly so that disease spread and potential impacts on trade, your industry and your community can be minimised.